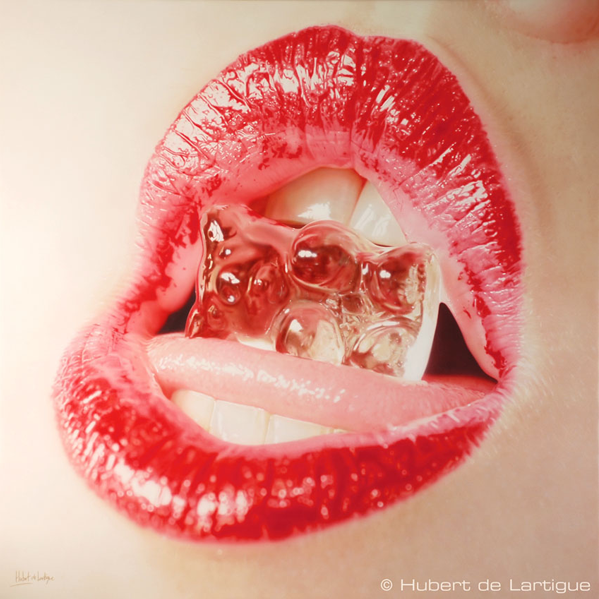 Hubert de Lartigue is a France born artist (1963). He started his career in a packaging design studio, and then moved to illustration freelancing world. From the end of the 80s till 2003 his work was mainly focused on pin-ups, and he created several sci-fi magazine covers and role playing game illustrations. Since 2003 he started painting in acrylic on canvas on larger formats and in a more realistic style (well, a lot realistic). Even if he lives near Paris his main gallery is in New York and it is the Bernarducci-Meisel-Gallery. 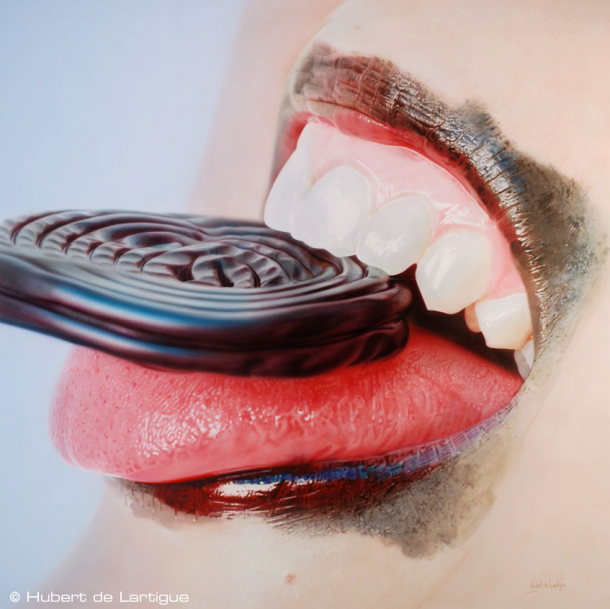 Hubert de Lartigue è un artista nato in Francia (1963) is a France born artist (1963). Ha iniziato la sua carriera in uno studio di packaging design, per poi dedicarsi all’illustratione come freelance. Tra la fine degli anni 80 e il 2003 il suo lavoro era dedicato principalmente alle pin-up e ha realizzato diverse copertine per riviste di fantascienza e illustrazioni per giochi di ruolo. Dal 2003 la sua produzione è più artistica e dedicata soggetti iperrealistici ad acrilico su tela su grandi formati. Anche se tutt’ora risiede vicino Parigi la sua principale galleria si trova a New York, ed è la Bernarducci-Meisel-Gallery. I such as Facebook, but I despise that their notes area isn’t as enticing as MySpace’s blog sites. I’ve just recently moved a blog from MySpace to Facebook making use of the “share” icon situated under each blog … Nonetheless, I do not such as the means it appears on my Facebook page. Are there any kind of much better methods to import my blogs?.